I've sent license details twice to ticket 2574275, but I've yet to see a response. Did they got marked as spam or something, because I added a couple of attachments to the mails? The weekend is approaching. Is there someone that could poke support to get this issue done? It only promotes disinformation by providing misinformation. I know, just was trying to speak in a language that everyone does understand. Many people do not know the word Trojan. Digital Ocean, LLC. Are they a trustworthy company? No The level of Abuse, malicious and nefarious activity is too high and their actions to deal with them is too low. I watch Digital Ocean, LLC on my network closely because I've seen more intrusion attempts from this company than any other. An incident that's definitely spiked my concern is testing an RDP port using port 3395 to a test computer. Within a day this computer was endlessly being scanned on the new port down to the minute from Digital Ocean's IP. Anyone have any insite on Digital Ocean's integrity, if it's worth blocking the IP, etc. Yes, restarting the system is probably necessary since any registry startup items would not be loaded after being restored until the system is restarted. Hi, Please check with the Windows 10 experts in this forum. https://www.bleepingcomputer.com/forums/f/229/windows-10-support/ This is not caused by malware and not my forte. I will leave this topic one for 6 days. Hi, Both, I need more information to give you sound advice. Why did Real-Time Protection allow Neshta? I'm using Malwarebytes Premium on Windows 7 64-bit, and have Real-Time Protection always enabled, and also a scan at start up, yet I did a manual scan and found I had Neshta for who knows how long. 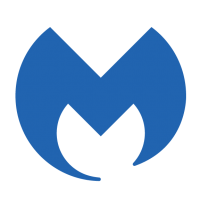 Malwarebytes has it quarantined now after the manual scan, but I'm still wondering how a trojan was able to get on my computer when Malwarebytes is always on, and also, if that's the case, how do I know it's really gone if Malwarebytes doesn't always find things? Not sure whether I should rebuild Windows to be safe, or if I can be sure my system is clean now. Any advice appreciated. Thanks! I too have always used never register on my own computers and any I set up for clients. I personally have no issues and never have and I am using 1903 upgraded from 1809. The above tests were done just to see how a default install would act on 1903 and to give feedback about the default install. The reason I purchased this product was to stop the click bait pop-ups on my laptop when I am browsing. I downloaded and ran the scan yesterday and today and the program found a few issues that were quarantined, however, I am still seeing the click bait pop-ups randomly when I am working in Chrome. They really are so annoying, and I have to stop working to close the ad so I can get my mouse to continue typing. I thought that was the job of this program to stop the annoying pop-ups. Sadly I have to say I'm not that impressed with the program so far. Has anyone else had this similar situation and if so, how can I fix it? Thank you for any assistance or suggestions you may have. Yesterday after I followed your steps and rebooted the computer worked fine. This morning I saw your email, installed Kaspersky, and the scan found nothing. It still seems to be working fine. Thank You for the help. I restored all of the stuff but then it still wouldn't show the settings. should I try restarting the computer? @Porthos Thank you for your notes. Just to add some info on my setup, I have for a long time had the never register selection in MB3. I have also not had the need to install MB3 as a new install, since it has been installed all along, and am running 1903 / 19H1 on live metal / resident OS.